A family life has wonderful enjoyment time. You always hear the sound of dogs barking and kids playing. This fun brings a lot of work keeping you constantly busy. One of those boredom tasks is cleaning your floor. The kids running with their dusty foots, dogs leaving marks with their paw full of muds, and numerous types of spills and dirt coming forces you to mop your house constantly. Nowadays there are quick solutions to this problem. One of those is the steam mop, a device that runs through electricity and blast steam on the floor removing the hardest of stains from it. We have reviewed numerous steam mops. In this article you will learn about Bissell 1940 Power-Fresh Steam Mop. We will share its features, pros, cons, and for whom this item is ideal. Bissell is always known for highly quality products. 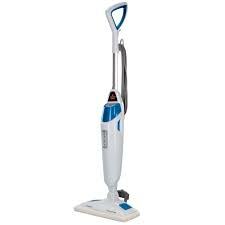 Following is a brief overview of this steam mop. Most of the steam mops do not require any cleaning agent to wipe all the stains off the floor. It would be very surprising to know if it is your first time using a steam mop. Power-Fresh is no exception to this rule. The principle idea is to heat the water so much that it converts into steam and then shoot the steam on the floor that cleans the stains and kills the bacteria 99.9%. So it saves you money, your child’s health and earth over long term. The cleaning agents are costly, they leave some liquid which is harmful for kids playing on the floor and their production is very harmful for the environment as they exert poisonous gas in the air. Saving something is one thing, being effective is another. You get pad made of microfiber which complements the mop in cleaning. They are also washable. A scrubber also comes along which is very good is removing sturdy stains existence. The digital steam control allows you to vary the steam from light, medium to high to do appropriate cleaning at different types of surfaces. The manufacturer claims that it is twice as fast as compared with other steam mops. You can use it on hardwood, laminate, vinyl, stone, ceramic, and marble floors. You can also swivel steam mop’s head to reach difficult to reach corners and areas. As chemicals are not used, no toxic smells are left. Instead the company offers a disc which gives fragrance upon cleaning, leaving a fresh environment to rest on. So no hard work and still you get the fruits. Life is easy! Preparing it for usage is very easy and fun to do. Take the main parts out. Put them together as directed. The handle needs to be screwed in place. Employ the mop pad and make the tank full of water. Plug the cord in socket. You might hear some sound of knocking, do not worry it happens for the first time. Once you see the light is lid, it means the steam is ready. You need to select steam through the digital control and mop around. Let it clean and shine the surface. The scrubber goes down to clean crevices and grout. You can do light cleaning on floors and high on stains through SmartSet Steam Control. It leaves a very pleasant fragrance at where ever cleans through its fragrance discs present in the mop. The manufacturer claims that it is a quick cleaner 2X faster than other steaming mops. Its head swiveling action allows reaching difficult areas and corners. Some users have claimed that it stopped working after 4 to 6 months and the replacement procedure being so long takes about a month for the product to replace. It comes with 2 mop pads made from microfiber and can be washed, a 23 ft. long cord for power, fragrance discs and an easy scrubber. The product has a limited warranty of 2 years. When you receive the box, it will have the handle and lower body placed which you would need to assemble. The water tank can be removed and filled easily. Claims to kill almost 100% of bacteria, viruses and germs. The tank’s cap is not able to bear the heat and starts disintegrating after a few uses. Some does not like the idea of fragrance as they feel better with the plain odorless oxygen. If you are hygiene type person but get tired on achieving a clean floor, then this mop is for you. 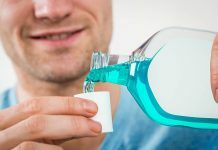 There are no chemical residues left behind, they kill bacteria and does not require too much effort. You finally achieve cleanliness the easy way. So the BISSELL Powerfresh Steam Mop is an environmental friendly and also pocket friendly product, reducing the time you spend in cleaning. It is compatible with all common floors but it needs to be keep moving around and not to be stayed at a place for a long time.